Today I would like to share some important point on the “Google Search Console”. The content of this post is the knowledge, which I learned during writing the post. This is the search engine optimization tools. Which is very beneficial to make your site valuable in the eye of search engine. This guide provides least to know more about Google Search Console. 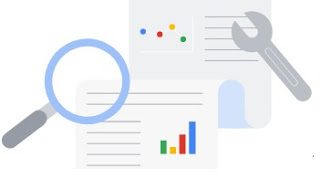 If you are new to know about the best guidelines to the google search console, I would like to provide the important knowledge about search console or if you know about that then I will try to share some decent knowledge of Search Console. The maximum knowledge will be helpful to rank your site in search engine. So, read very carefully the guidelines. Here I will share the starting technique of Google Search Console. The optimization technique to get perfect SEO and that these are also helpful to get the organic traffic on site as well as that will improve the search ranking. This is the most important guideline. This is the first way to submit the site in the Google Search Console. Login to Google Search Console, and press the Add property button. Now you will paste the homepage URL in “Add a Property Section”. After all this process, you have to choose the best option to verify your site. They provide 7 option for instant verification. Choose one of them. When you verified your site then go for “Preferred Domain” and choose one of the options for starting the URL, that is www or non-www version. Here you should check that which version is beneficial for the site and familiar for users. This is important to decide which is relevant for your site because this link will reflect or define the link path of your site in search engine. Here you will see another option that is “Don’t Set A Preferred Domain”, but I will suggest you don’t choose this option because as per google policy they treat as a two separate URL and that is not for the good SEO. Second, this type of activity weak your backlinks power. This option depends on the content of your blog post. Means, if your content is very familiar with the USA and other countries then you should choose according to the visitors flow. So, go to Google Webmaster and click on the international targeting option and select your preferred country. Recently Google has changed the policy and announced that HTTP request is not secure and Google will not be responsible for any fraudulent activity. They announced to convert the HTTP from HTTPS for extra precaution. They are taking these steps for security reason. To get the keyword, you have to open up your google analytics account. Now go with the Admin button. Press on ‘property setting’. Scroll till see the Adjust Search Console button. Then click on “Add” and press the save button. Now analytic and search console linked with each other. You should go with landing page option to see the ‘impression’, ‘click data’, ‘CTR’, ‘position data by country’. Queries option will show the ‘Keyword’ data. This is a very good option for you to know everything off the site, which is useful to rank the site in search engine. This property is useful for Google, Bing, Yahoo, Yandex, and other search engines. Sitemap submission is a very important part of the Google Search Console. Sitemap submission helps to identify the website and provide substantial information on the right path of post URL. Search engine judges the used keywords and content of post, backlinks, and rank accordingly. If your site is small then sitemap submission is not required but this is the key tools for the bigger site. I recommended for the submission of the sitemap. I analyze that after the submission of sitemap, the crawling work very fast to index your blog post in the search engine. I left 2 to 3 days of my published post, but the search engine did not index. When I generated the XML sitemap and submitted in new Google Search Console, I was surprised the post has been indexed after 2 to 3 hours. So don’t forget the sitemap submission. Search best sitemap generator to prepare the XML and HTML sitemap. HTML sitemap is helpful to prepare the site searchable page. Overall you will be known about the importance of Google Search Console for the website. The best way to follow the guidelines, rules, and regulation of the google search console. Follow the rules from the first post, because you will not be able to get spare time in the future to correct these errors. A large number of the blog post is always better to attract good numbers of people on your site. So, create an informative and helpful post for visitors. Share your views in the comment box about the post "Best Guidelines To The Google Search Console"